With everyone having an opinion on the Xbox One X, this has been one of the most widely discussed E3s in recent memory. 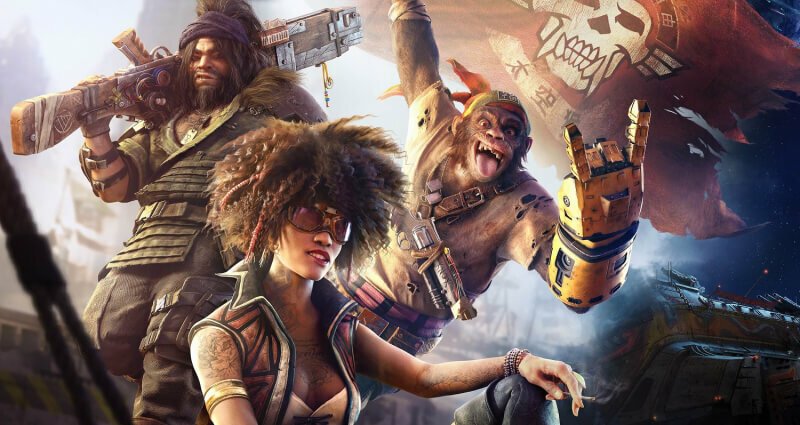 Yesterday, Ubisoft added to the excitement with some huge announcements, including pirate game Skull and Bones, VR experience Transference, and the long-awaited Beyond Good and Evil 2. Several of Ubisoft’s games we already knew about, such as Assassin’s Creed: Origins, which also appeared at Microsoft’s event. There was a new cinematic trailer shown, though it didn’t really add much to earlier reveals. Back in September last year, Ubisoft announced that South Park: The Fractured But Whole would miss its December 6 release date and wouldn’t arrive until 2017. The RPG moves from the Lord of the Rings-style fantasy seen in The Stick of Truth to a superhero setting. Check out the hilarious, and very sweary, trailer below. Despite the hype surrounding its open-world setting, MMO racer The Crew wasn’t well-received by most players and critics. The sequel adds planes and boats, which, assuming Ubisoft fixes the problems seen in the original, could make it a more appealing prospect. The scaled-down USA map is also back, this time with bigger cities and more variety. One of the stranger trailers was for VR-optional game Transference - the result of a collaboration between Ubisoft Montreal’s FunHouse division and SpectreVision, a film production company co-founded by Elijah Wood. It’s not here until Spring 2018 but looks pretty interesting. We've seen plenty of controversy surrounding Far Cry 5 since its announcement, but there’s also a great-looking game underneath it all. Ubisoft revealed a new gameplay trailer that showed off teamwork elements, weapons, vehicles, and a dog called Boomer. Many people regard Assassin’s Creed: Black Flag as their favorite entry in the long-running series, with the Naval combat a highlight. It seems Ubisoft has taken that element and expanded it into an open world multiplayer pirate game called Skull and Bones. It looks pretty amazing but isn’t set to launch until Fall 2018. The event ended with something fans have spent 14 years asking for: Beyond Good and Evil 2. Ubisoft says it is “the spiritual successor to the cult classic, a prequel that will transport players into a profoundly multicultural world.” The cinematic trailer doesn’t reveal too much about the game itself, but series lead Michel Ancel later said it is “like GTA but in space, in three dimensions." Check out the trailer below, which has enough F-bombs to make it fairly NSFW.